If you are injured in an accident that was the result of someone else’s negligent actions or wrongdoing, you are entitled to a fair amount of compensation. That compensation is meant to help you pay for medical expenses and recover in comfort, without having to worry about lost wages or other monetary concerns. 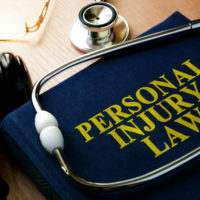 In most personal injury cases, victims were in good health before the accident, making it fairly easy for the insurance companies and, if necessary, a judge and jury, to assess the damages and set an award. However, in a few rare instances, the victim of the accident had preexisting injuries. When this happens, the personal injury case becomes much more complicated. If you have preexisting conditions that are keeping you from obtaining fair and just compensation for your injuries, consult with one of the knowledgeable Miami personal injury attorneys at Spencer Morgan Law. Even though you have one or more preexisting injuries, you are still entitled to compensation. However, proving the extent of the damage caused by the accident may be a bit more difficult than had you been completely whole and healthy prior to the incident. We can help you provide the proof necessary to win your case and subsequently, win a fair settlement. When someone is hurt in an accident in Florida and they already suffer from a preexisting injury, the first thing an experienced personal injury attorney expects to hear from the defendant’s insurance carrier is that the defendant is not liable for the injuries because the injuries are a part of the existing condition. While this is somewhat logical, it is not entirely accurate. The case of Hollie v. Radcliffe, 1967, is a prime example of Florida’s stance on the matter. The case, which cited Atlantic Coast Line R. Co. v. Dees, 56 Fla. 127, 48 So. 28 (1908), Hamblen, Inc. v. Owens, 127 Fla. 91, 172 So. 694 (1937), and Wise v. Carter, 119 So.2d 40 (Fla.App. 1960), reaffirmed the Florida rule that, “…where a pre-existing condition is aggravated by the defendant’s negligence, the defendant may be held responsible for the entire condition.” What this means is that if a plaintiff’s preexisting condition was in any way aggravated by the defendant’s actions or inactions, the defendant faces increased liability for the accident, as not they are not only responsible for the injuries they caused, but they are also liable for the plaintiff’s entire condition. In Hollie V. Radcliffe, James S. Radcliff had been diagnosed with Parkinson’s Disease in 1961 and was treated for the condition in 1962, 1963 and 1964. In 1964, the company for which Radcliffe worked required that he take an indefinite leave of absence, as his condition left him unable to perform the duties of his job. The company stipulated, however, that if Radcliffe saw an improvement in his condition, it would reconsider his leave of absence and possibly reinstate him to his position. Needless to say, Radcliffe was unable to return to work. The courts sided with Radcliffe, citing the rule mentioned above. While not all cases are sure to go the way that Radcliffe’s did, if a plaintiff can prove that their injuries were exacerbated by the defendant’s negligence, and if they can prove that additional treatments are necessary to care for the worsened condition, they may be able to obtain compensation for the extent that the existing injury was exacerbated by the accident. The plaintiff can also fall back on the eggshell skull rule law, which specifies that if a plaintiff has a preexisting condition that makes him or her more susceptible to injuries—for instance, if they have osteogenesis imperfecta (brittle bone disease) or hemophilia—the defendant must still pay full damages to the victim who was harmed [Schmude v. Tricam Indus., 556 F.3d 624, 628 (7th Cir. Wis. 2009)]. This is the case even if the victim suffers a greater loss than a person without a preexisting vulnerability would have. If you or a loved one’s preexisting injuries or conditions were exacerbated by an accident caused by someone else’s negligence, you may have difficulty obtaining the compensation you deserve to recover in comfort. Fortunately, our Miami personal injury attorneys understand Florida law and which cases to apply to your case. We also know what evidence is necessary not only to prove that your new injuries are, in fact, new, but also, to show how the new injuries have negatively impacted your life. If you are worried about how your existing injuries will affect the outcome of your case, call Spencer Morgan Law at 305-423-3800 to schedule a free and confidential consultation today.